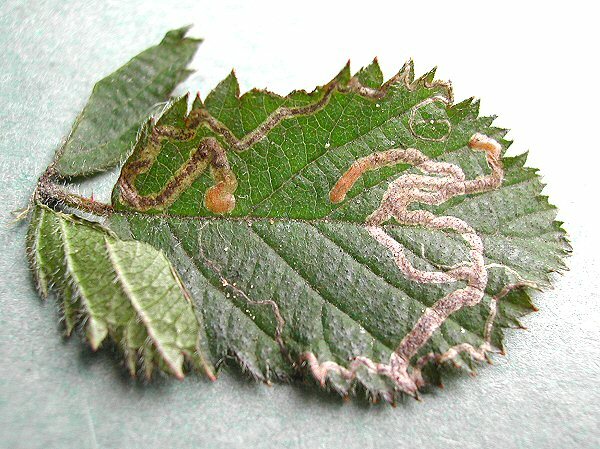 Notes: A common leaf miner. A long gallery with dispersed frass. The larva is amber-yellow, head yellowish-brown. The larvae above pupated and emerged as adults 21.vi.2005.